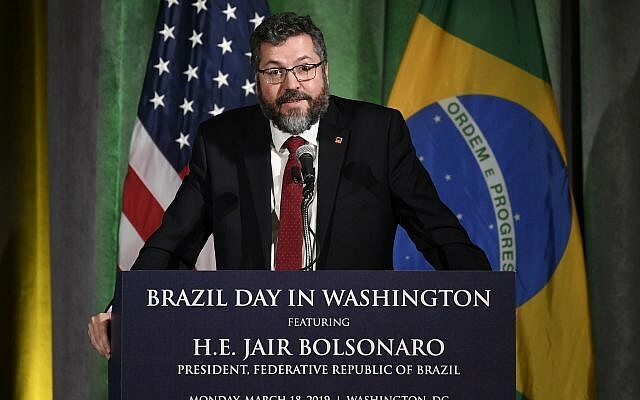 BRASILIA, Brazil — Brazil is “still studying” the relocation of its embassy in Israel to Jerusalem, Brazil’s top diplomat said Wednesday, days before President Jair Bolsonaro is due to visit the country. After taking power in January, Bolsonaro reiterated a pledge to follow US President Donald Trump’s lead in moving the embassy from Tel Aviv. But his far-right government has since rowed back in response to fears the shift could endanger Brazil’s valuable meat exports to Arab markets. Foreign Minister Ernesto Araujo’s latest remarks, however, suggest the controversial proposal is still on the table. “The issue of Jerusalem is very important, it is part of the essence of what this new relationship with Israel may mean, we are still studying the way that [decision]will be taken,” Araujo told reporters. 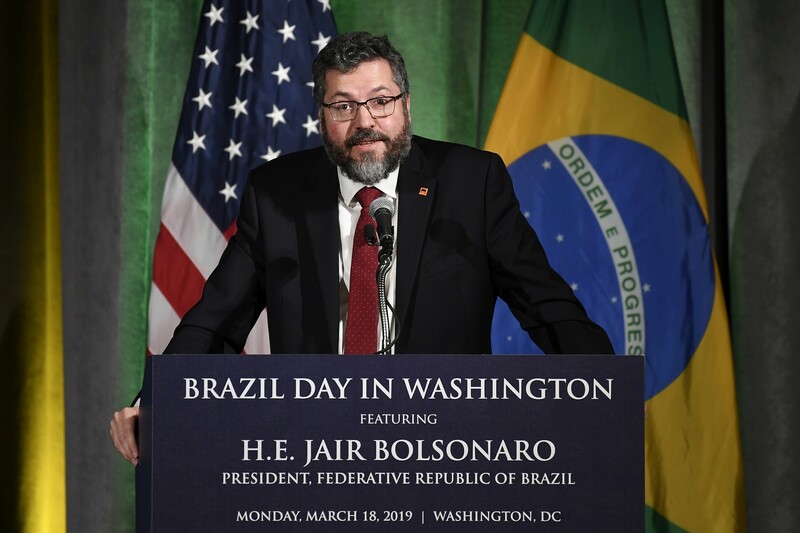 The shift must be in line with “other policies in the region to make it clear that, if it were the case, it would be a positive movement, as part of Brazil’s contribution to peace and stability,” he added. Bolsonaro, who has been in the United States this week for talks with Trump before going to Chile, is due to visit Israel from March 31 to April 2 as he seeks to strengthen ties with conservative governments around the world. Israel’s Prime Minister Benjamin Netanyahu attended Bolsonaro’s January 1 inauguration in Brazil.